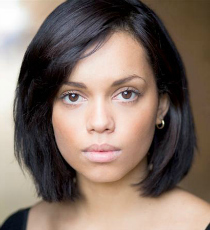 Georgina Campbell is a young actor who is best known for her Bafta-winning role as Ashley in television movie Murdered by My Boyfriend. Georgina is also recognised for portraying Kate in Channel 4’s Tripped and Jasmine in After Hours for Sky 1. Further television credits include Death in Paradise, Broadchurch and One of Us. She can most recently be seen in Black Mirror and Krypton.